at Copper Sky Recreation Complex in Maricopa. and even your crazy Uncle Al for chocolate choconanigans! The 3 mile or 1 mile option, will provide the perfect distance for all runners/walkers. 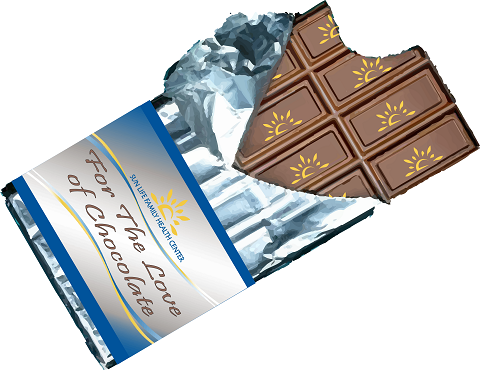 medal, and enjoy chocolate sweet spots placed throughout the course! Consider your chocolate cravings warned! Working together to transform lives … be Sun Life! It can be said that the overall wellness and success of a community is impacted based on the health care available to them. Proceeds from this event help make access to health care more affordable for those who are insured, under-insured and uninsured. Sun Life has an unwavering dedication to ensure everyone in the community has the ability to access quality primary care, preventive care and wellness education. Sun Life is a non-profit community health center and the largest provider of primary health care services in Pinal County, with 55 providers providing over 164,000 patient visits per year. Sun Life also employs over 350 people in the community and many of its staff volunteer throughout the county to help other organizations and schools in community outreach projects. With Over 46,000 children, women and men in Pinal County calling Sun Life their healthcare home your support will make their continued access to affordable healthcare possible. So please register today for our fourth annual fun run! Invite your family & friends to support us as well. By working together you are part of something bigger, you are helping to make a real impact in the lives of your family, friends and neighbors. Custom Event Chocolate Cookie Jar Medal! Race Day Registration will be available for $50.00 per person for the 3 mile run/walk and $40 per person for the 1 mile run/walk. Sorry, no pets allowed at this event!